CORSA Director Lloyd Newman (left) assists a first time rocketeer at the pad. 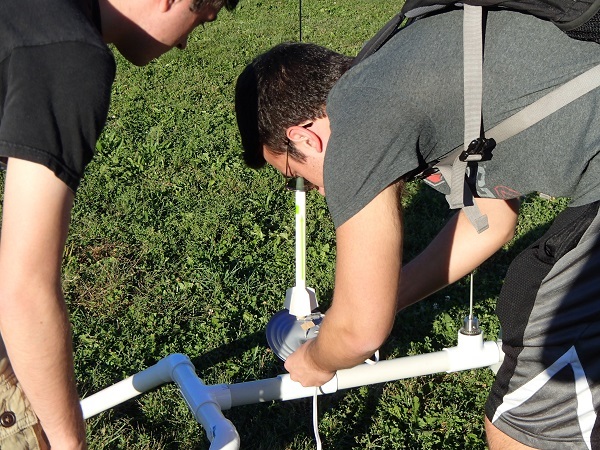 The purpose of the Ohio State rocket launch was to give our new members experience building and launching a low powered rocket (LPR) and also to have fun. Considering many of the new members did not have any experience with rockets, this was their chance to start learning about rocketry. We bought an educational pack of Estes Vulcan Rockets for everyone to build. It was fairly cheap and was able to be put together with wood glue in about an hour so it was the perfect model to give our members for one of the first meetings. It was active enough to get them excited for the school year and for the club but critical enough that they had to think about the design of their model. With the Vulcans we used Estes B6-4 motors since they could be launched in a nearby field without risk of losing the rockets. 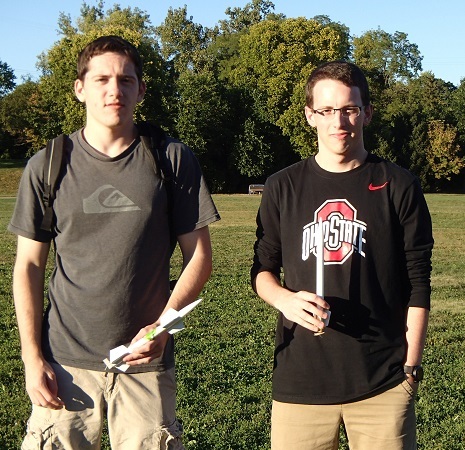 That next week we launched the rockets at a nearby park with the help of the newly formed NAR chapter the Central Ohio Rocketry and Spacemodeling Alliance (CORSA). 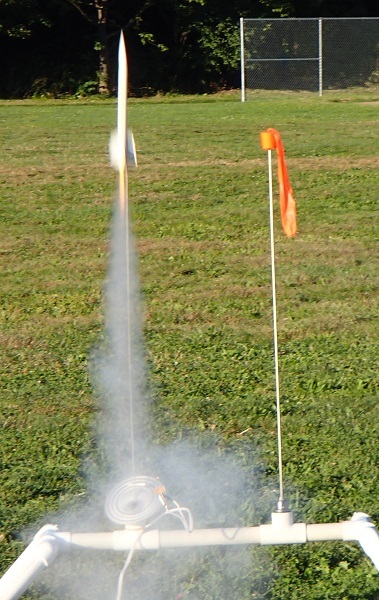 The members of CORSA were generous enough to bring their launch stand so that we could launch multiple rockets at once. As well as ensuring the general smooth running of the launch, they were also able to help out the rocket team when the friction fit motors were slipping out the back of the rockets. There were still several motor separations but without their help half of the rockets may not have been able to launch. Throughout the entire launch there were many “wows!” and lots of talk on how their flight went as well as how the current flight is going; lots of “that was a good one” or laughing if it spun out of control. One member expressed their excitement by stating they wanted to start launching their own rockets. 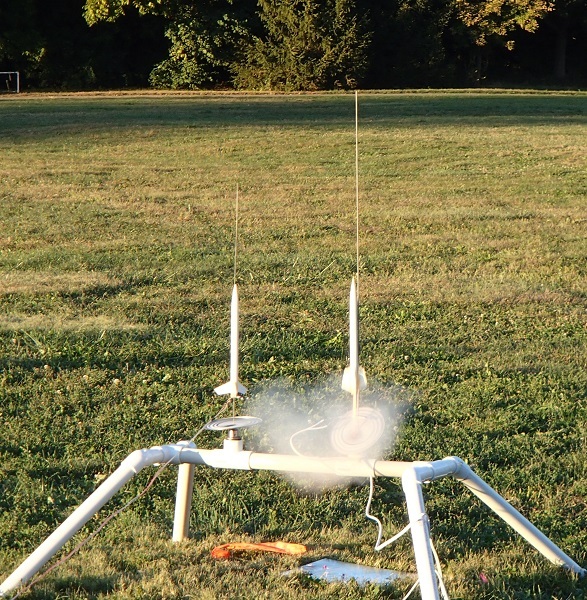 Luckily there were no CATO’s; however, there was one case where the center of pressure (CP) was too far away from the center of gravity (CG) and the rocket spun out of control nearly 20 feet off of the launch pad. No one was hurt but everyone was given the spectacle of a failed launch. Overall everyone enjoyed the launch! They appreciated the help and shared knowledge from the CORSA members. This was a great launch to start out the semester with and I know all of them look forward to more launches in the future! 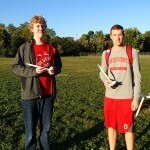 Members of the Rocket Team at The Ohio State University installing their motors before flight. 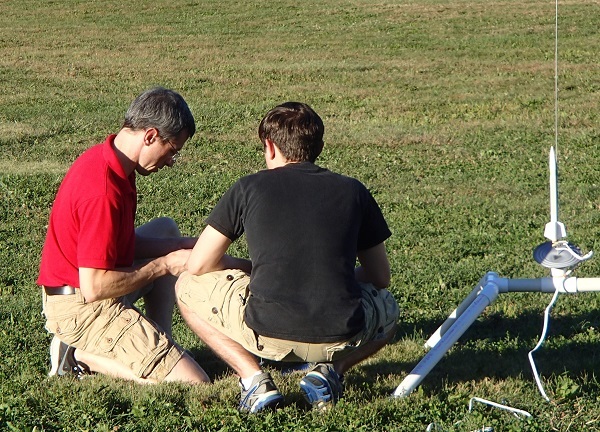 Rocket Team President and CORSA Member Erich Zahn (left) assists a team member at the pad. 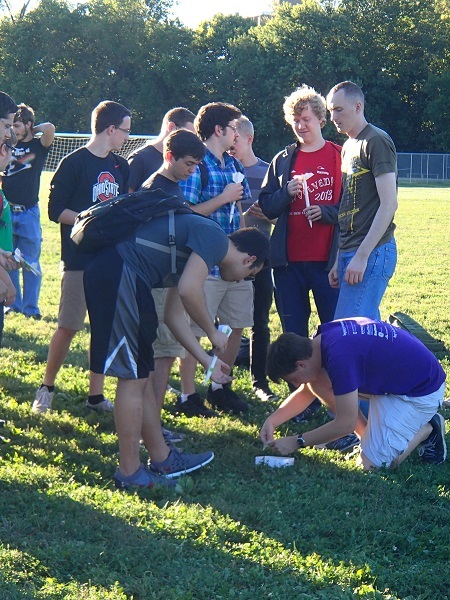 Lloyd Newman (left), CORSA Director, assists Erich Zahn, Rocket Team President and CORSA member, with failure analysis on a rocket motor that failed to ignite. 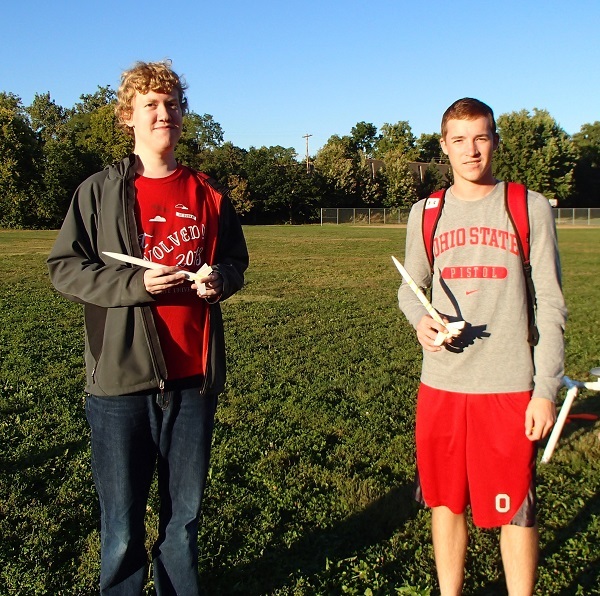 Members of the Rocket Team at The Ohio State University ready for launch. 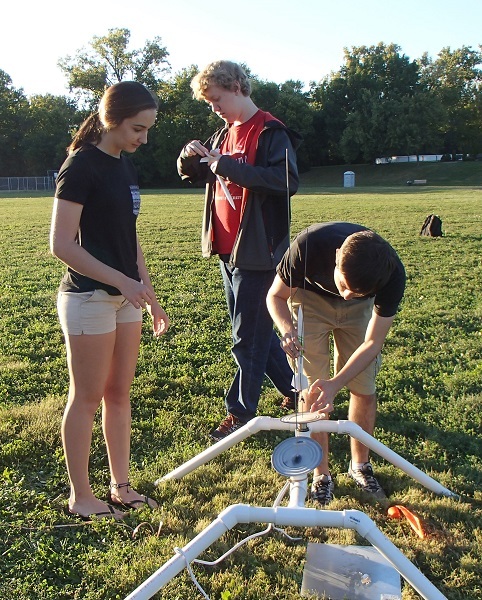 Erich Zahn(right), Rocket Team President and CORSA member, assists other rocket team members at the pad. Tagged Education, Rocket Team at The Ohio State University. Bookmark the permalink.